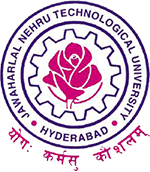 JNTUH B.Tech 1-1 Sem (R18) 2nd Mid Exam Time Table Nov 2018, jntu hyderabad I Year I Semester B.Tech I Mid Exams Time Table 2018 download. JNTU Hyderabad has announced B.Tech 1-1 Semester (R18) 2nd Mid Examination Time Tables November 2018. Students can download their II mid examination time table form below link. 1. ANY OMISSIONS OR CLASHES IN THIS TIME TABLE MAY PLEASE BE INFORMED TO THE CONTROLLER OF EXAMINATIONS IMMEDIATELY. 2. EVEN IF GOVERNMENT DECLARES HOLIDAY ON ANY OF THE ABOVE DATES, THE EXAMINATIONS SHALL BE CONDUCTED AS USUAL.